SUSTAIN is a mutual learning tool developed by nine higher education institutions in the Asia Pacific region with an intention to help institutions of higher education enhance their Education for Sustainable Development (ESD). The project started in 2009 with the mission of facilitating and encouraging higher education institutions to engage in the Education for Sustainable Development (ESD). The first goal is to provide a framework for sharing good practices and facilitating dialogue and self-reflection, and to this end, the project has developed SUSTAIN, Sustainabiliy Tool for Academic Institutions. 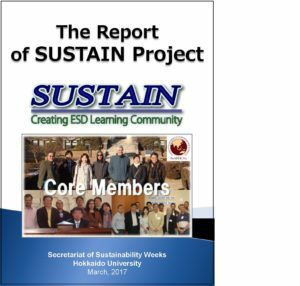 The SUSTAIN Project is summarized into the report below.